100% MUSCLE. 100% NAKED. 100% BENELLI. It’s a look you can’t ignore: Muscled up. Narrow waisted. Lovely curves. Sensuous frame tubes. Skimpy bodywork. And that amazingly powerful engine, with a trio of stainless exhaust pipes curving dramatically under and behind that sensational powerplant. 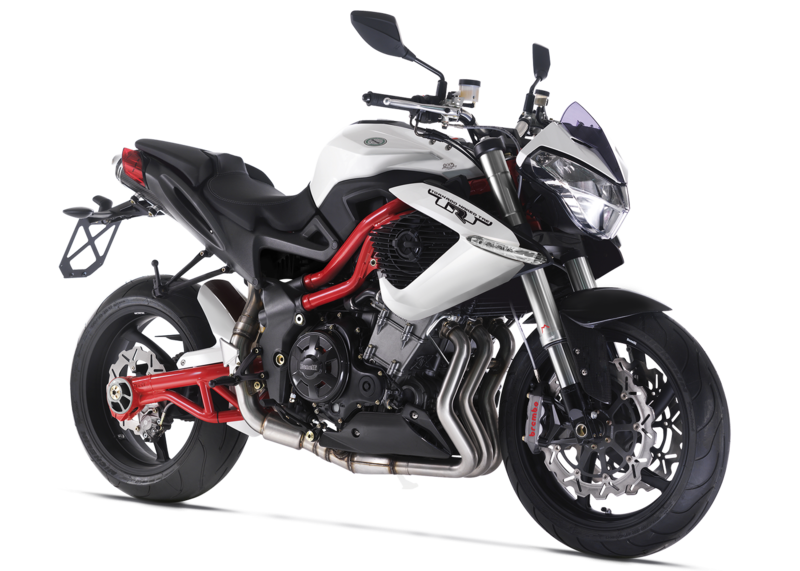 The emotion has only one name: Benelli Century Racer. A real gem for performance and style, a motorcycle with strong character, able to conquer the genuine bikers. It all starts with that incredible engine – an oversquare 1131cc, liquid-cooled inline triple cylinder with 4-valve heads, double overhead camshafts capable of an amazing power of 158 hp ar 10,200 rpm. That power ripples the pavement via a superbly balanced chassis, featuring a cast/tube-trellis hybrid frame that showcases a 50mm fully adjustable front Marzocchi forks, Sachs fully adjustable rear shocker working through a beautifully crafted tube-trestle swingarm, front twin 320 mm floating wave disc brakes with radial mounted Brembo monoblock 4 piston calipers and rear single 240 mm wave disc brake matched to a Brembo twin piston caliper. The Benelli Century Racer. A real italian legend.